Are you curious to learn more about your Enneagram type? 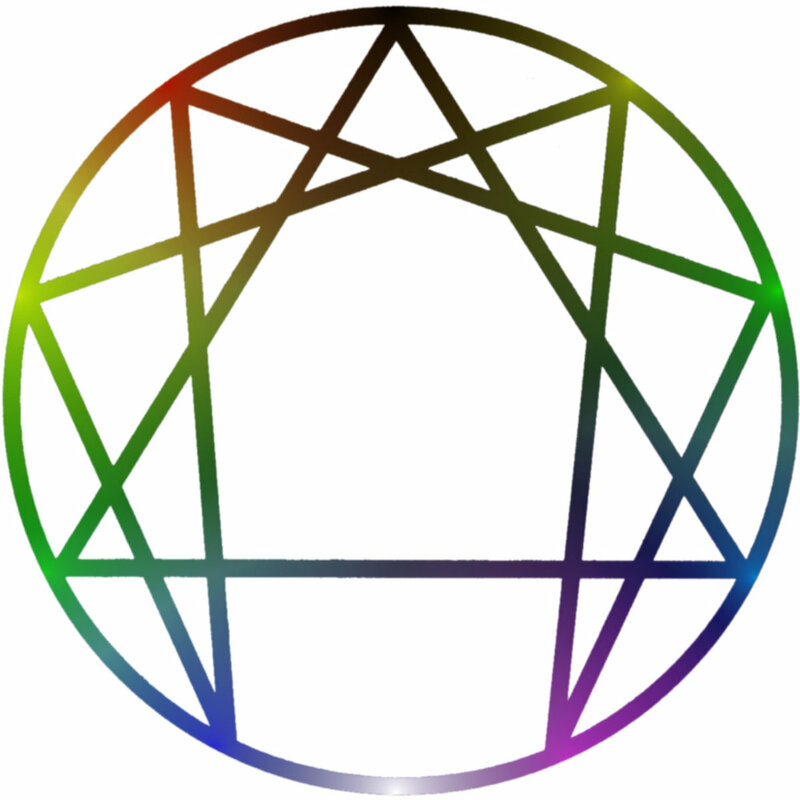 Would you like to understand the enneagram in more depth? Are you ready to gain more insight into your deep nature? The Enneagram is both a mathematical symbol and a model of fundamental processes in any evolving system. Since the human mind is an evolving system, the enneagram models human personality and allows us to understand ourselves and others very deeply. Self-understanding: When we understand ourselves we are no longer confused by our own emotions, thoughts, and actions. We are able to interact with the world in a natural, intuitive way, using our innate talents without getting caught up in the traps of our particular personality type. Understanding others: When we understand others we are able to interact with them in a way that acknowledges their strengths and quirks, and we can be much more effective communicators with people of all personality types. Understanding the universe: When we understand the enneagram as a model of evolving processes, the universe offers surprising insights, makes more sense, and we begin to see the dynamics of evolution in action all around us. Your retreat facilitator, Nick Turner, CET, received his certification as an Enneagram teacher from Don Riso and Russ Hudson at an intensive retreat in 1992. Since then he has been leading workshops, giving talks, and working personally with clients. Nick's specialty in the Enneagram is the intuitive perception of Enneagram types and Enneagram influences in people and in the world. Nick's talent helps you pull the Enneagram into the core of your being so that you can experience it intuitively without explicit analysis in each situation. When it is experienced in this way, the Enneagram becomes an effortless way to embody your deep nature and navigate life. Explore Nick’s Intuitive-Enneagram site where you can read Enneagram 101 and other interesting posts about the Enneagram. More about your deep nature? In the first session of your retreat we'll spend some time talking about your answers to the initial questions and other questions that evolve naturally from the conversation. This conversation is the beginning of an interactive discovery process during which Nick will work with you to bring into focus your specific personality dynamics. This process will continue throughout the retreat and beyond. Depending on your existing understanding of the Enneagram, Nick may offer an overview of the model, illustrating the multifaceted nature of this tool. Choose from a variety of experiences to dive deeper into your understanding of the Enneagram. Watch and discuss TV shows and movies to see the Enneagram in action. What do you pick up intuitively about characters and their interactions? Learn how to perceive personality traits intuitively, without analysis. Experience contemplative and meditative ways to deepen your Enneagram intuitions. Explore longstanding or recent patterns to gain new insights. Understand the most effective ways for each type to reach a higher level of functioning and integration. See the traps you fall into under stress and discover how you can stay in your strengths. Synthesize what you've learned in a deepening conversation with Nick. Identify major threads that affect the dynamics of your life. Surface new strategies and ways to integrate your new understanding. Gain insights into more effective ways to interact with "challenging" people in your life. The retreat begins at home with your answers to a collection of questions that you will email us before you arrive. Your retreat will be a blend of guided experiences, collaborative exploration, personal deepening, and opportunities for creative expression. We'll co-create a customized series of experiences inspired by what we discover together. In the moment you'll have the opportunity to choose as much time as you'd like for reflective, contemplative experiences, and intensive one-on-one time with Nick. After your retreat, we'll have a follow-up session via Zoom conference call or phone call to help you bring what you've discovered into your life. Thank you for your inquiry about the Enneagram Discovery Retreat.